Project Fuse: Movement Exploration for Dancers with Special Abilities - Fusion Wellness Group Compassion. Connection. Commitment. Movement Exploration for Dancers with Special Abilities! Fusion Wellness Group in collaboration with April Coghill of Cypress Dance Project have partnered to create "Project Fuse", a cutting edge dance class for children and young adults with complex learning difficulties and autism spectrum disorders. Classes are taught by Fusion Wellness Group founder, Sue Ellen Burch and focus on the whole individual and not only the treatment of symptoms. 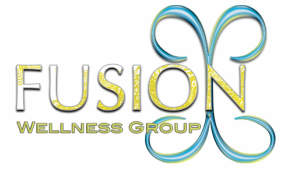 Fusion Wellness is well known for their utilization of alternative therapies and holistic approaches that encourage a proactive approach and focus on important variables such as family history, personal background and environment in one's life. Through dance classes, students are taught life skills whilst at the same time experiencing dance as an expressive art form and are tailored to meet the individual needs of each class. Register your child for classes by filling out this simple form. We will be in contact with you within 24 hours.